Adding a personal touch, or your team’s favorite colors to your tailgate or football parties is easy peasy with your Cricut Maker. Can you believe football season is here already?! I feel like I just watched the Super Bowl last week and we’re already prepping for our college games! While I’m not a huge fan of watching football games I am a fan of throwing parties and getting my friends and family together. And since most of the guys spend a good portion of their weekends August-December watching football games I’ve learned to enjoy the games. Because this isn’t a one time party, in fact we get together with a few friends almost every weekend, I’m always looking for quick and easy ways I can dress up our party area. I also like to have a few things that I can reuse over and over again. I’ve considered going to the dollar store and just buying decorations, party supplies, etc but that really adds up when you have to do it every week. But thanks to my Cricut Maker I’m able to quickly make the things I need, even if I only have an hour or so before party time. 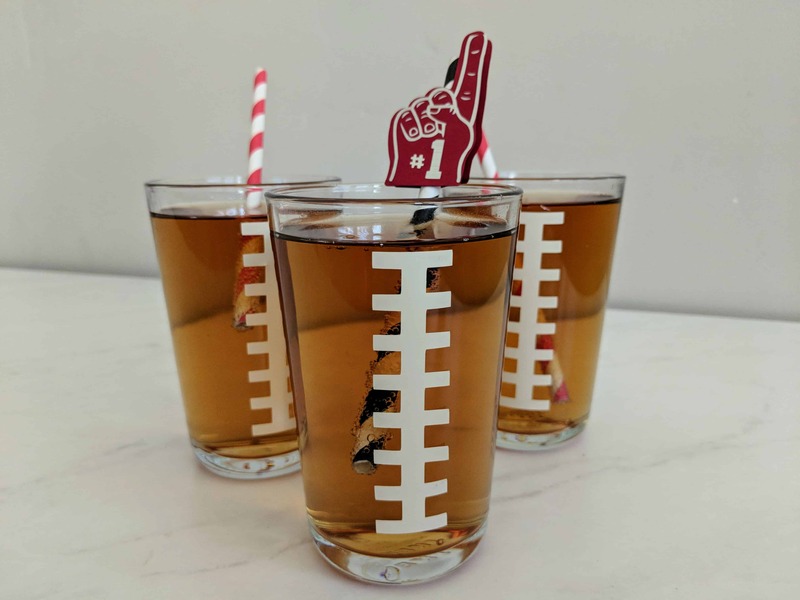 There are actually a TON of really great football party Make It Now Projects available in Design Space and I was able to make the mason jar footballs, snack holders and straw toppers in less than 30 minutes for all 3! How’s that for quick and easy projects?! 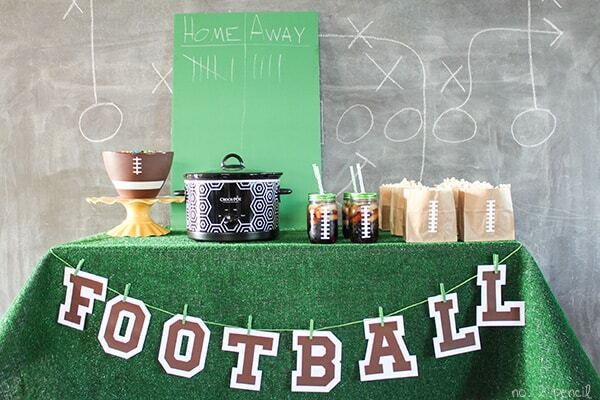 Check out these projects you can customize and make for your next football party! 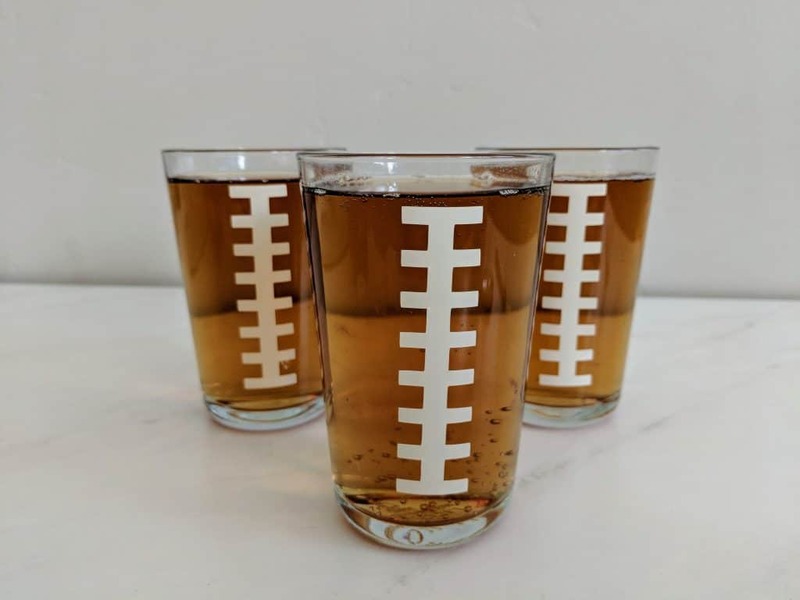 Football Glasses – These were such an easy project to make! They are a Make It Now Project in Cricut Design Space. And thanks to Cricut’s new Premium Permanent Vinyl, the project was even easier. The new premium vinyl (both the removable and permanent) are so easy to get off the roll. They don’t roll up like other’s vinyl do, but actually lay flat and they are a lot easier to weed. Because I used permanent vinyl on these I can wash them and reuse them for every party. Click here to make this project in Design Space. 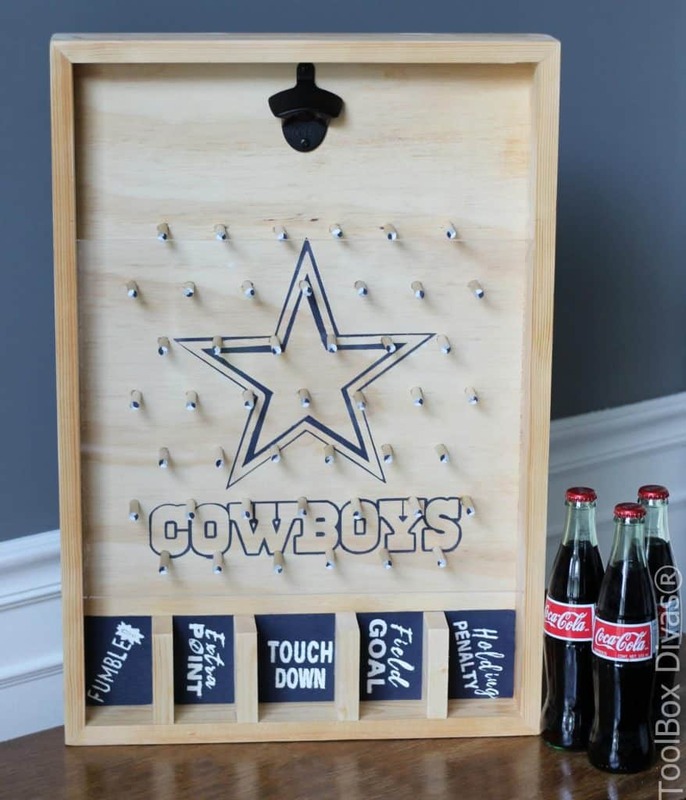 Football Snack Holders – Talk about another quick and easy project. I chose to use removable vinyl on these since they were a one time use item. They held up really well for the adults but I think I’ll use paper cups for the kids next time (they were a little rough on them). Here is the link to make this project in Design Space. 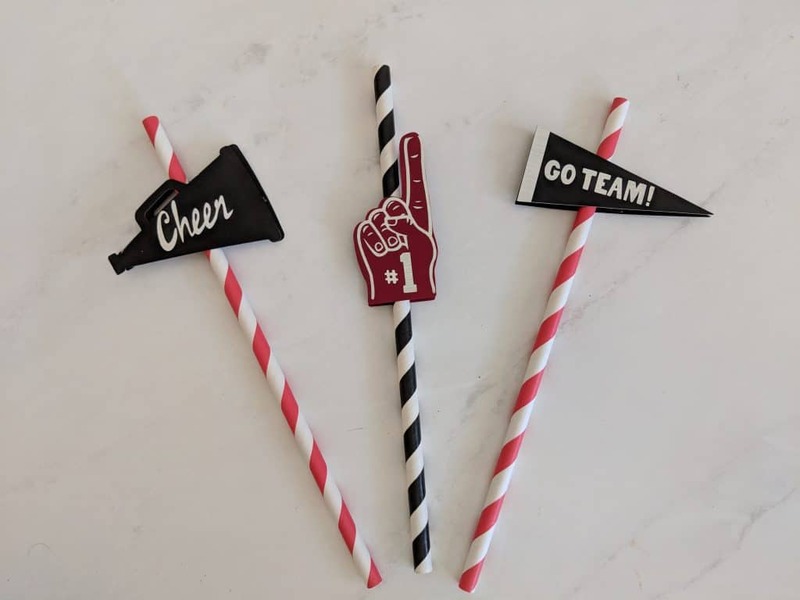 Football Straw Toppers – I love adding little personal touches to drinks (especially when I don’t have time to make special drinks for the party) and with this make it now project in design space, you can customize each straw topper with your teams’ colors quickly and easily. Click here to make this project now in Design Space. 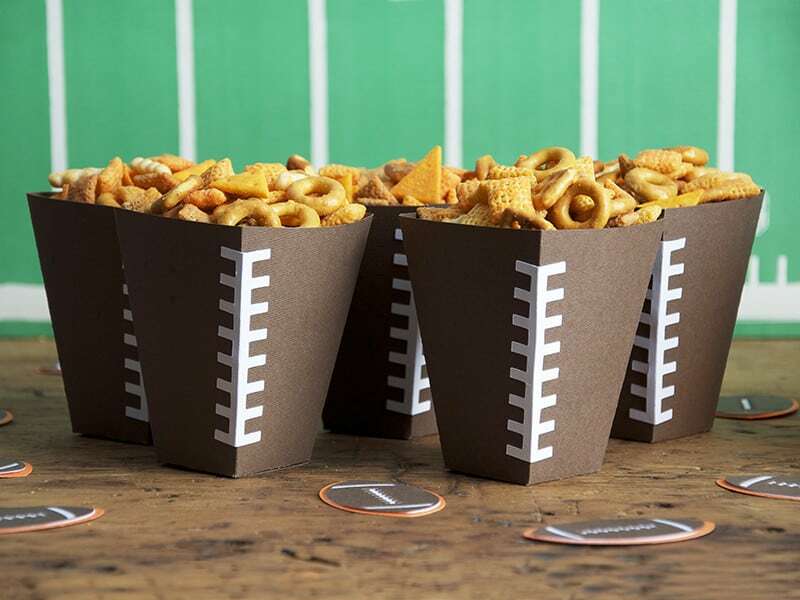 Easy Football Party Tablescape – No. 2 Pencil used her Cricut to quickly and easy make coordinating jars, bags and treat bowl. She also added the fun FOOTBALL banner to the table too! Check out the full tutorial and a yummy queso dip here. 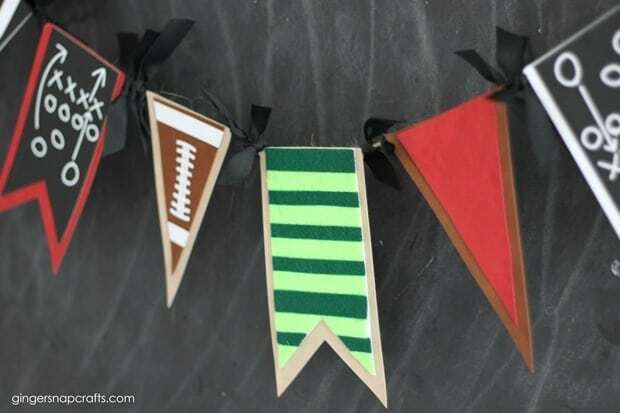 Football Pennant Banner – Ginger Snap Crafts used faux leather, felt and iron-on vinyl to make this fun party banner. 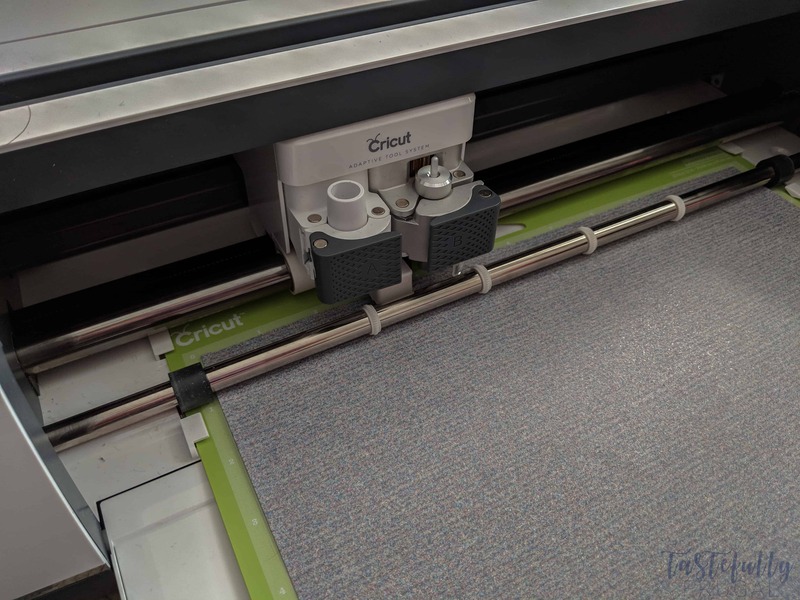 The Cricut Maker is so versatile you can easily switch blades and settings to cut different materials in minutes. Check out the full tutorial here. DIY Bottle Opener Game – The Tool Box Divas used their Cricut to customize this fun bottle opener game with their favorite team by making stencils out of vinyl and painting on the designs. 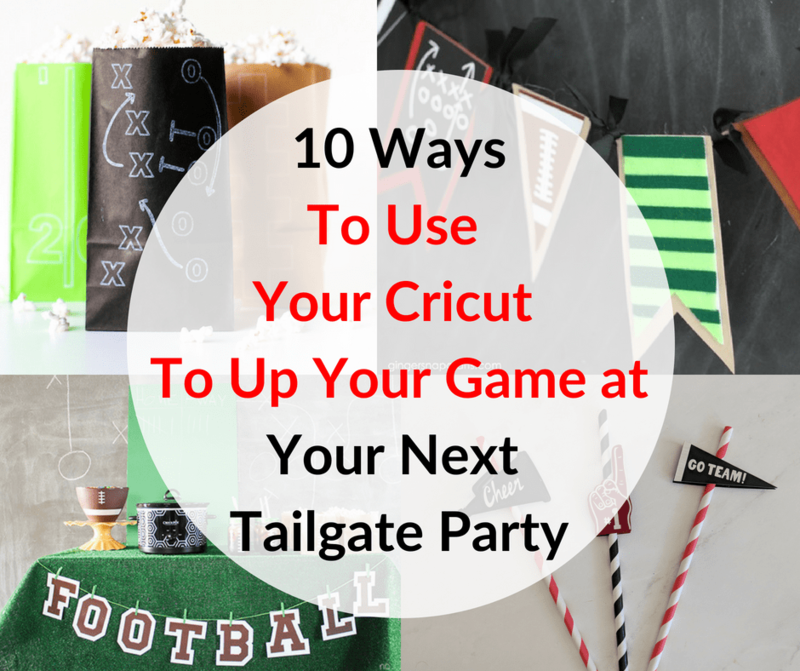 What a fun way (and useful) game for any game day party. Build plans and full tutorial here. 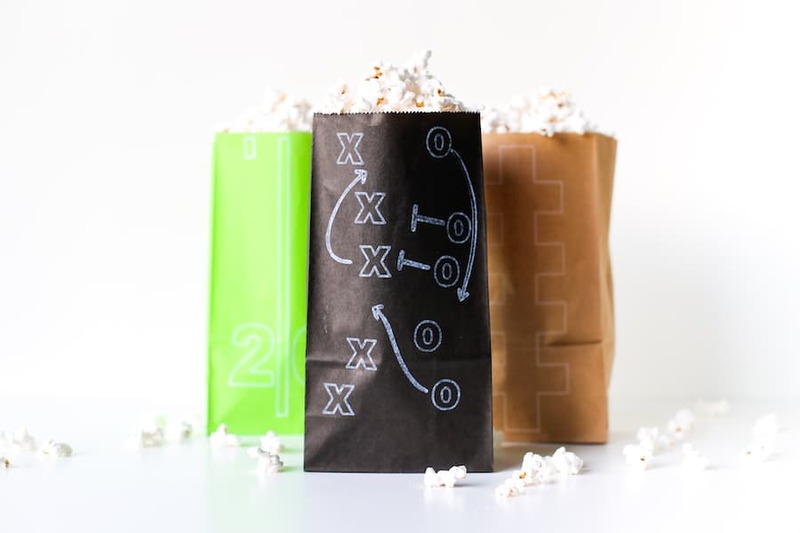 Football Party Treat Bags – Salty Canary used pens and dollar store paper bags to make these fun treat bags for her football party! This is another quick, easy and affordable touch you can add to ANY football or tailgate party. Check out her post here. 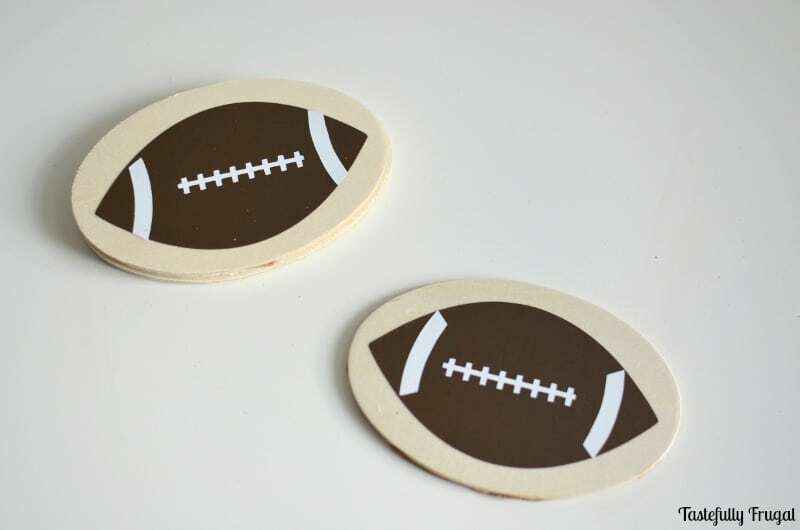 Football Coasters – I made these coasters a few years ago and didn’t use permanent vinyl (but wish I did). I’m going to use the new Permanent Vinyl to remake these so we can use again and again. Get the full tutorial (and a yummy pizza deal) here. 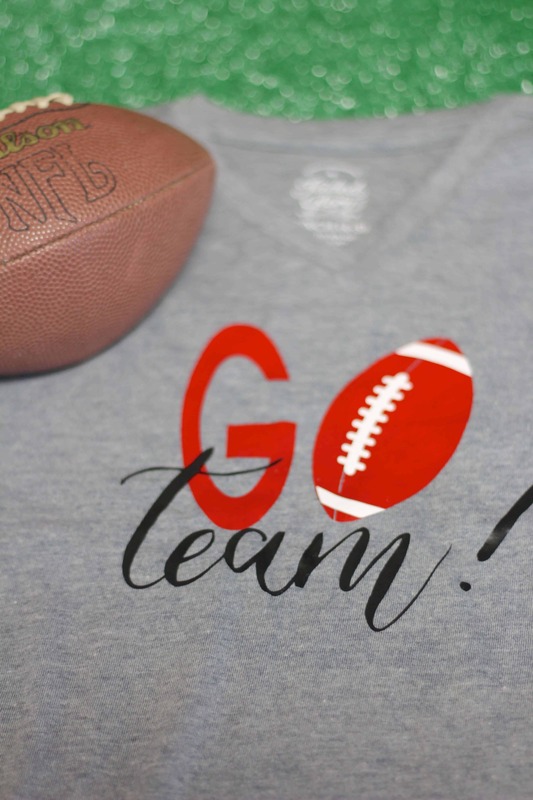 Go Team Football Shirt – Customize your party shirts with your team’s colors with this super easy tutorial from Everyday Party Magazine! 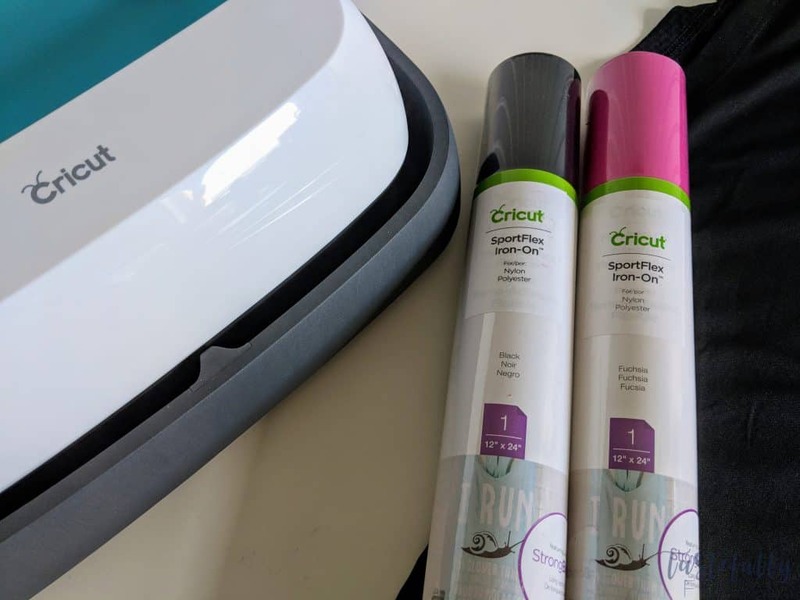 If you want to go for a more athletic look, use Cricut’s SportFlex Iron-On on your Dri-Fit shirts and they will last all year (or more, the SportFlex comes with Cricut’s Strong Bond guarantee of at least 50 washes with no peeling or fading). Check out the tutorial here. 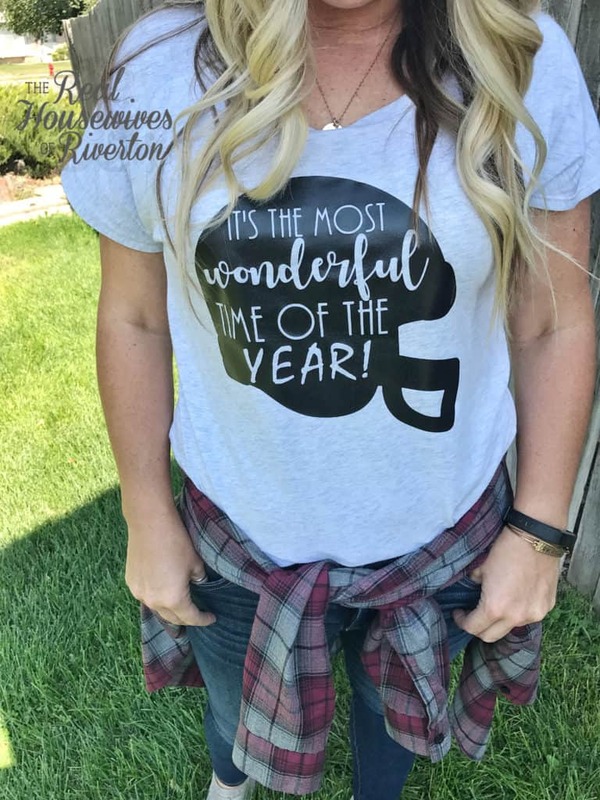 It’s The Most Wonderful Time Of The Year Football Tee – The Housewives of Riverton knocked it out of the park with this design! They used the Cricut BrightPad to help with weeding some of the small designs and it turned out super cute! Get the cut file and tutorial here. IF YOU NEED TO BUY SUPPLIES FROM CRICUT.COM, MAKE SURE TO USE CODE TFRUGAL TO SAVE 10% AND SCORE FREE SHIPPING. 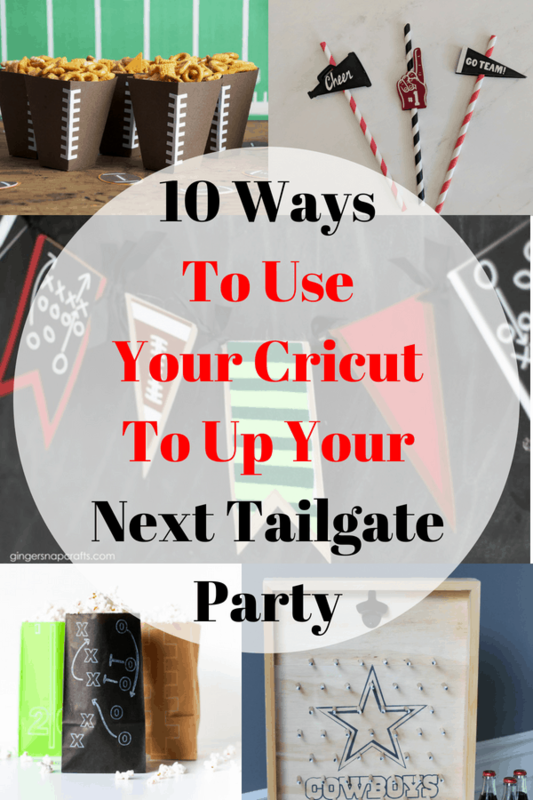 If you’d like to check out more ways you can use Cricut products check out these posts! Need help with your Cricut? Join our Cricut Support Facebook Group! Are you ready for football season?! What project(s) are you most excited to make and customize for your team? Let me know in the comments!